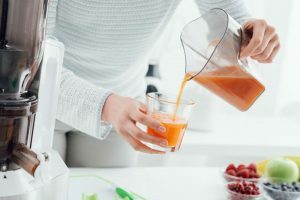 In the era where gastronomical trips and Instagram-ready diners attract people (most especially the millennials) through paid advertising and social media utilization, there’s also an increase in the rate of people who are suffering from food-related health issues like heart attacks, atherosclerosis or clogging of the arteries, strokes, breast cancer, colon cancer, diabetes, obesity, weight-gain and others. 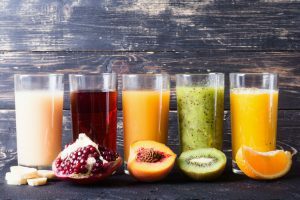 If you haven’t observed, food innovations are going so outrageous nowadays–bigger, greasier meals with tons of unhealthy toppings, more food coloring, humungous jaw-breaking burgers, giant shakes with multitude of sprinkles, towers of sweets in your coolers; the crazier the idea (like the liquid nitrogen ice cream) the more people flock to give it a try. 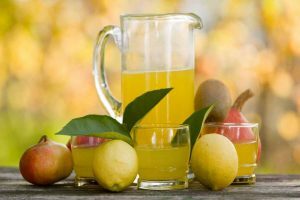 If you are nutrition-conscious or would like to start a healthy lifestyle, one great way of preventing these health issues is to be aware of your food and cholesterol consumption. Deep-frying, which a classic favourite of every household shouldn’t be sacrificed in doing so. Fortunately an Air Fryer is one of the most innovative and highly-recommended kitchen appliances today that solves the issue of eliminating grease and oil intake while cooking your crispy delights as it needs little or no oil at all. 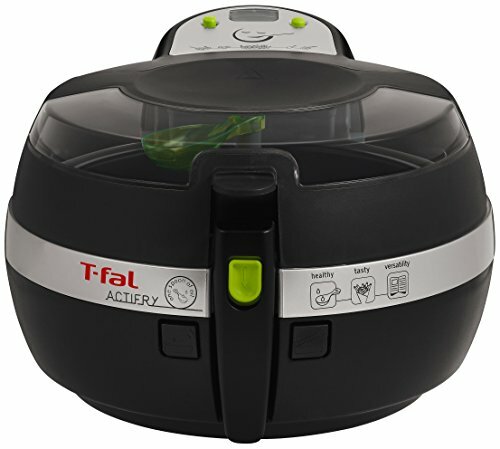 T-fal ActiFry is a great brand of Air Fryer that is worth investing in. T-fal Actifry does an amazing job as it not only allows you to fry chips and French fries but also to cook chicken, fish, meat and even desserts with just a minmimal amount of oil. 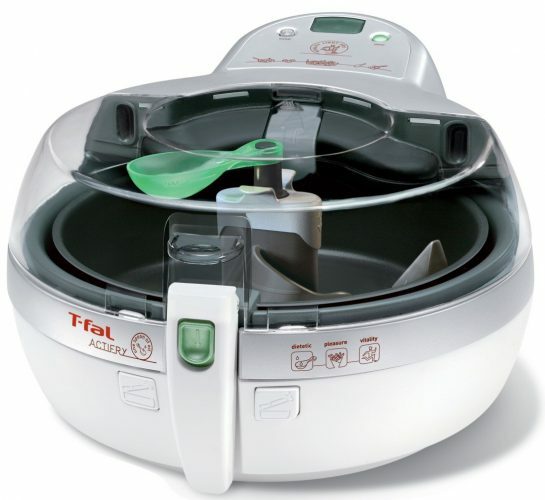 One thing that makes T-Fal Actifry a standout in the AirFfryer models in the market aside from using a hot air circulation/ pulse heat system is that it has its built-in stirring paddle that enables the food to be rotated while it is being cooked to ensure that the oil is evenly distributed to each piece of food, and is cooked evenly. With the flipping paddle, you have the option to place the food in the center part when cooking small portions, or to leave it out of the center for larger items like fish or big parts of chicken or meat to come up with flavourful, evenly cooked meals. 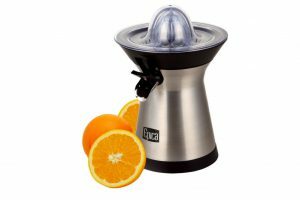 It has a ceramic, non-stick interior which makes it easy to clean and the removable parts are dishwasher-proof. The low-fat healthy Air Fryer has a dimension of 16.7 13.6 9.4 inches and weighs 8.9 pounds. It can cook up to 2.2 lbs or 1 kg. which can feed up to 4 people at the same time. The T-Fal ActiFry has a clear lid at the top which lets you view your food while being cooked. This is an amazing feature to check the status of the food being cooked. The T-Fal Gourmet model utilizes 1450 watts of power, which is way more powerful than the original or Classic ActiFry model. It has a unique pre-set temperature of 338 F with 99 minutes timer. That means, you cannot adjust the temperature since it is automatically set but you can adjust the length of time to cook a certain meal. T-Fal ActiFry has a manual on and off button. 1. T-Fal Actifry is a low-fat, healthy Air Fryer and multi-cooker. It needs a little amount of oil when frying which promotes healthier lifestyle especially for those who are conscious of weight gain and other cholesterol-linked health issues. 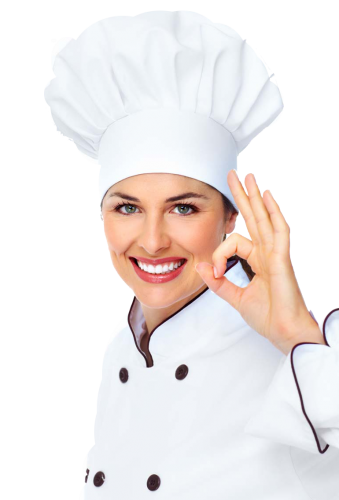 It enables you as well to cook chicken, fish, meat, and desserts. 2. T-Fal ActiFry has a built-in paddle which is a smart feature for an Air Fryer. Although some brands use Rapid Air Technology and dual convection fan to evenly distribute the heat, there’s still a chance that the food is undercooked or overcooked on certain sides. T-Fal Actifry, not only uses hot air circulation system with pulsing action but it flips the item to ensure that the heat distributes evenly in every direction, hence resulting in more evenly and deliciously cooked meals. 3. The Air Fryer’s exterior remains cool to handle and touch even when the cooking process is ongoing which is a great safety feature against scalding and burns. Just be careful though as the lid can be extremely hot. 4. T-Fal ActiFry’s exterior is coated with a non-stick ceramic surface which makes it easier to clean and maintain. 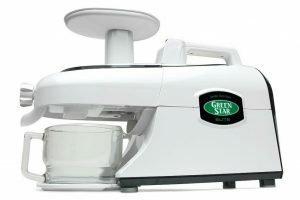 It is a dishwasher-safe multi-cooker as the parts can be removed so easily for cleaning and dishwasher. This saves you from cleaning the greasy and stinky kitchen wares from the traditional deep-frying. 5. It comes with a 35-recipe booklet and a basic cooking instruction which is so helpful for those users who are just learning to cook or don’t even know how to cook or are willing to experiment and try new recipes using the T-Fal ActiFry. 1. Although T-Fal Actifry has amazing features to boot, it is a bit expensive for its suggested retail price of $249 compared to its popular counterparts. If you are on a budget, this is not really recommended unless you are willing to invest because of its outstanding performance. 2. T-Fal Actifry has a countdown timer and an alert feature that beeps once the cooking is done. The drawback though is that it doesn’t automatically shut down. This means that you have to be watchful because the beeping sound is not that strong and if you are not paying enough attention you might miss turning it off. You have to turn it off once the meal is cooked unlike some airfryers that turn off automatically. Negligence may cause overheating or even fire so it is not recommended if you are looking for a fryer that can be pre-set and turn off on it’s own. 3. Since T-Fal Actifry has a preset temperature of 338 degrees, you need to modify the duration of what you are cooking to avoid undercooking or overcooking the meals. Some may find it a bit inconvenient. Unlike some other air fryer brands where you can set the temperature and the length of time to cook depending on the meal it takes a lot of trial and error before you perfect it. Due to this, a lot of consumers complain of having either undercooked or overcooked meals on their first few cooking attempts using T-Fal Actifry. 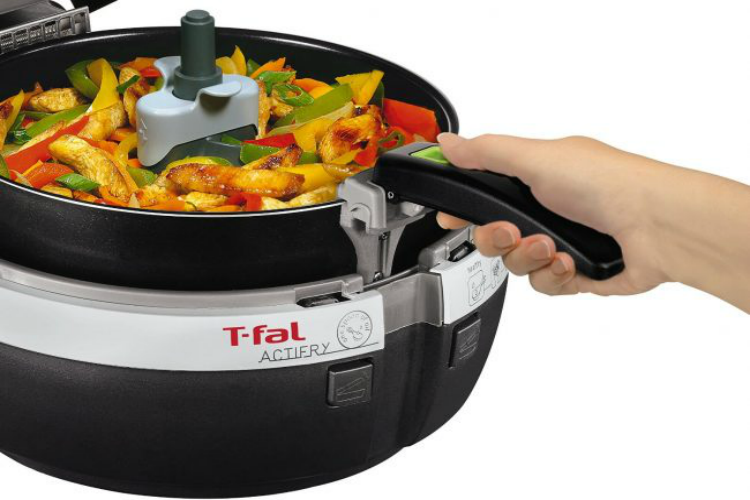 Overall, T-Fal ActiFry is relatively easy to use, highly-efficient and well-designed low-fat, dishwasher safe multi-cooker that is worth every cent. It may not be as popular as Philips and Black and Decker but it performs outstandingly in terms of air frying. 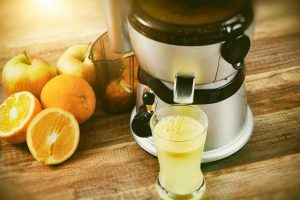 It is a kitchen device capable of cooking more than your usual crispy delights but also with its amazing capacity, you can come up with exciting new recipes or to feed up to 4 people which absolutely makes it an ideal investment for you and your family. Since it requires little or no oil at all, it gives you a guilt-free feeling of indulging yourself in your favorite fries at home. Plus, it is very easy to clean as it has a ceramic and non-sticky surface making cooking more fun when using T-Fal Actifry. 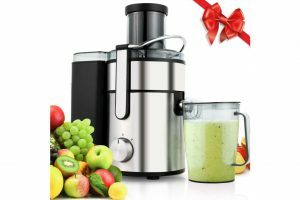 And with its easy, guilt-free and delicious Actifry recipes to try, this kitchen gadget is a perfect gift or reward to you or your loved ones!